The year she turned eighty-five my mother wrote a letter to all nine of her living children. She wrote it by way of apology. I imagine she wrote this letter seated at her round table in the dining room of her tiny unit at Park Glen, the retirement village to which she had moved five years earlier. She wrote it on a sheet of lined foolscap paper but by the time my older sister had photocopied the nine copies necessary – at my mother’s request – the lines had disappeared. My mother must have written in her best handwriting, as the words are legible, unlike in earlier letters she wrote to me alone. And who received the original? It was clear mine was a copy and somehow it became a measure of my position in the family, one of the many. It also became a measure of the position of the many in my family, all except my older sister who in the end took the original back to my mother, after she had made copies for the nine of us, including one for herself. 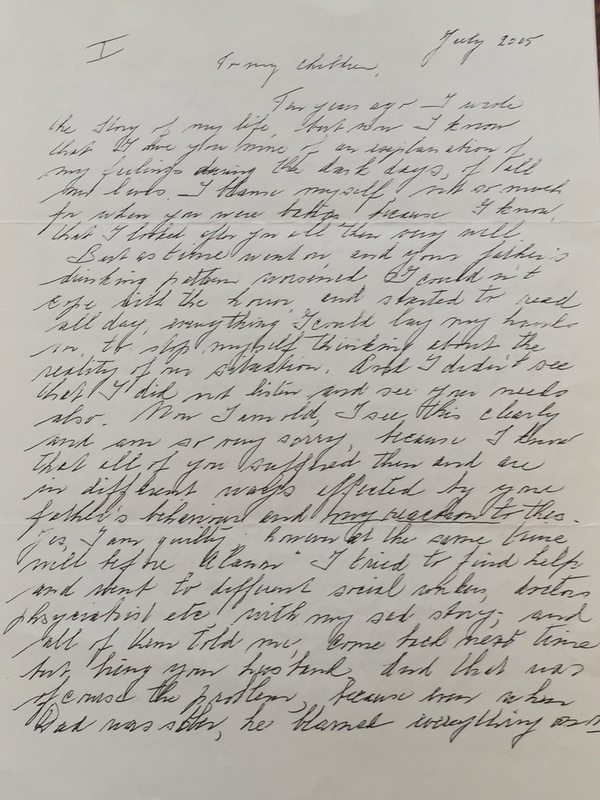 More recently, this same sister was clearing out her garage and she came across, not only her copy of my mother’s letter to us all, but also another letter my mother wrote to her alone. My sister read out my mother’s letter over the phone and we wept together hearing again our mother’s thoughts about my sister’s hard life and her pain. To this, I added a pain of my own, the pain of not being the one of all those children, not the only one but one of the eight children who, by default did not deserve a letter of our own. I decided then, should I ever write such letters to my children, I will not write a group letter, instead, individual letters to all my children, each letter expressly designed to address the child in question. I recognise it’s not so hard for me. I have only four children and nine is a long line of letters to write. It’s not surprising my mother should choose to address us all equally. Most of my siblings, as far as I know, did not respond in any way to our mother’s letter. I presume they read it. I presume they felt something in the sting of it, but as far as my mother had told me at the time, only three of her daughters talked to her about her letter. Not one of us wrote back. And I include myself here. 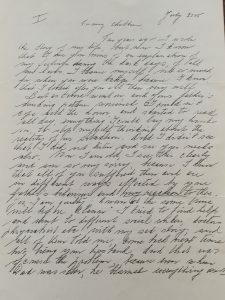 I acknowledged my mother’s letter but it did not occur to me at the time to wonder what it must have been like for her to write such a letter and also to be met with silence from most of her children. I’m twenty years of age away from reaching my mother’s age at the time she wrote this letter, but it occurs to me now that she wrote from the wisdom of her years and although one of my brothers disparaged her efforts as manipulative, I wonder whether a degree of empathy is called for after my mother’s long life, lived to the best of her ability, however much littered with mistakes. My mother’s letter is one long apology and one long explanation of her position in making the mistakes she made. She wrote it when she was eighty-five years old. It deserves recognition. Such a touching post, thank you Lis. I love the photo of your mother, such a beautiful face, and her choice of colour is perfect. I empathise with your sadness that she did not write individual letters. I can also see that, as with older members of my family, what is unsaid may not be unfelt. Love, love, love. Thanks, Christina. 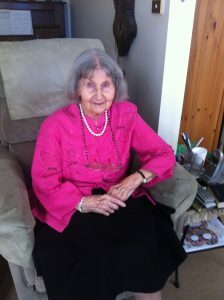 My mother loved to look her best and to give the impression that all was well, even when it was not. I understand her struggles now more than I ever did when I was younger and angry. Still the fact that she singled one of us out in this way rankled, though it need not and it was not intended that way. I reckon my mother was acknowledging the one, not to the exclusion of the others, but that little person in me who can still at times feel second rate rose up momentarily and took over, though not for long. Hi Elisabeth, On …”a letter of your own”… As the brother you wrote of, who disparaged our mother’s efforts as being manipulative, I was prompted to review my 2005 correspondence file. 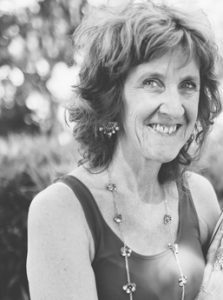 After all this time, and our mother’s death in 2014, I recalled my refusal to attend her funeral (the only sibling of the 9 of us to do so) and my memory of her letter as being very egocentric in that our mother sought to explain her behaviours rather than recognise her fundamental error of depriving her children of love and care in favour of her dysfunctional husband. Our mother also wrote to me in 2005, just before and after the July “apology letter, and conspired with the daughter you mention, and our older brother, to visit me in Queensland (against my wishes) and have me take her to Toowoomba to visit her own brother. It’s hard when we each have such different experiences of our mother, and that some of our pain goes on forever into the future. Thanks for your longer message off line, Simon. It helps to make more sense of your thoughts here and your feelings. I was nearly 50 before I was able to understand and say “My mother was a good mother. The best mother she could be.” So angry was I at her inability to choose me over her alcoholism. At 50, with hindsight, I realised how difficult her addiction was for her and how heartbroken she was at the damage it had caused. There but for the grace of God . . . . I have often thought of writing to each of my children after reading an article by Erma Bombeck, where she (or maybe she was quoting another) writes to each of her children and starts each letter with the words, “Don’t tell your siblings I said this, but you were always my favourite . . ‘ and then goes on to describe the special quality each child had brought to her and the family that made them favourite. I imagine being one of a large family it was difficult to see yourself as special but as a mother I know no child is more special or favourite than another. I have one child who accuses me of favouring another and this always hurts me, as I am only responding to the efforts each child makes in their relationship with me. As Christina says, what is unsaid may not be unfelt and I am sure you were no less precious than your other 8 siblings. Such a poignant response, Karen. You understand my drift, the mixed feelings of it all. And then to imagine a mother who writes separately to each of her children and tells each one they are her favourite, which in its own way is probably true, but we tend to be so black and white about these things as if there’s only so much love to give around. Thanks Karen. I think I have two letters from my mother. They were both written to me as an adult begging me to return to the fold. In the second she underlined the reason she wouldn’t let Carrie in her house: because we were living in sin. I’ve never once written to my mum. Any correspondence went to my dad. That was the way things were in our house and I don’t think Mum minded much. So for her to put pen to paper then was significant. I’ve no idea if she even wrote to either of my siblings. But then they kept the faith. So, probably not. Parents are not supposed to have favourites. So I’ve heard. Having only one daughter I don’t have much choice. It turns out I was Mum’s favourite. I thought I was the black sheep but then both my brother and sister thought they were black sheep too so I don’t know what that says about my family. I was the favourite because they’d waited twenty-one years for me and had just about given up hope when I arrived but I never felt like anyone’s favourite. I did feel—and still feel—I was their biggest disappointment. It’s sad that your mum felt so strongly against allowing Carrie into her life. a generational divide I suppose, but still sad. So many relationships are torn apart by these attitudinal conflicts. It’s sad too that the idea of favourites in families can also tear us apart. And so unnecessary. Thanks, Jim.